Authored by a leading figure in the field, this book systematically describes all the fundamental aspects and applications of inorganic nanostructures from zero to three dimensions. 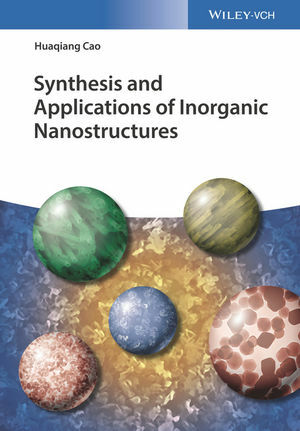 It not only discusses various synthesis technologies, but also covers the physical properties of inorganic nanostructures, such as optical, electric and magnetic properties, and practical applications such as energy storage (including Li-ion and Ni-MH batteries and supercapacitors), superhydrophobic and bio-applications, etc. The focus throughout is on the synthesis-structure-application relationships, including the growth mechanisms for the nanostrucutres. Concise yet comprehensive, this is indispensable reading for chemists and materials scientists. Huaqiang Cao obtained his Ph. D degree from Nanjing University, China, in 2001, and now is full Professor at Tsinghua University, China. His research interests are in material chemistry, focusing on the design and synthesis of inorganic nanomaterials with different dimensions, and understanding the synthesis-structure-application relationships. In 2015 he was elected as fellow of the Royal Society of Chemistry (FRSC) and fellow of the Institute of Materials, Minerals, and Mining (FIMMM).